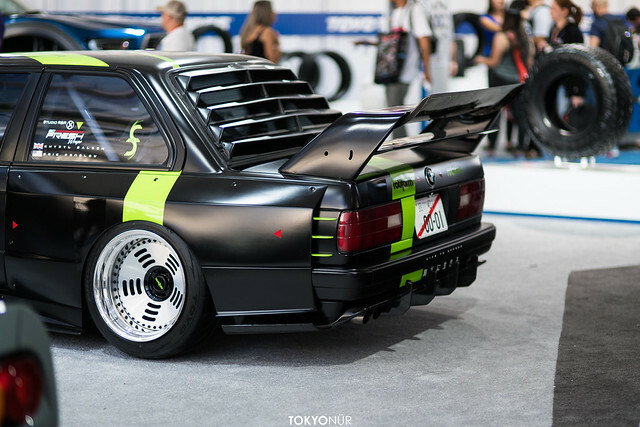 At first, please check out Hoonigan/Larry Chen ‘s awesome clip. 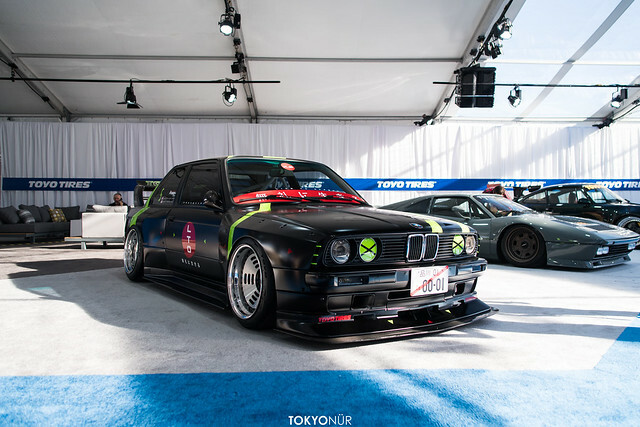 ■Another friend of mine got an opportunity to display his work at SEMA show. 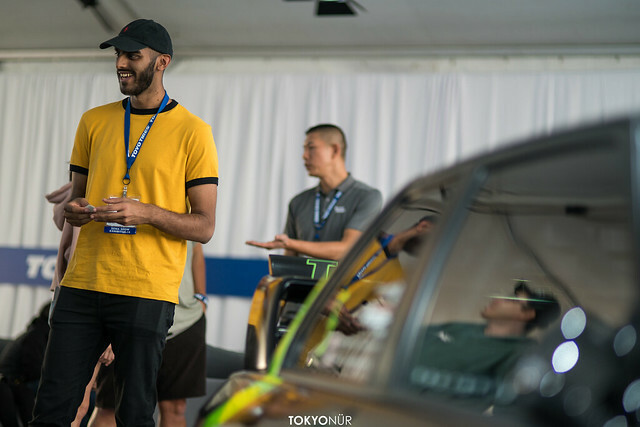 Khyzyl Saleem(Kyza) who got a spot light as a CG rendering artist when he attend Need For Speed 2015. 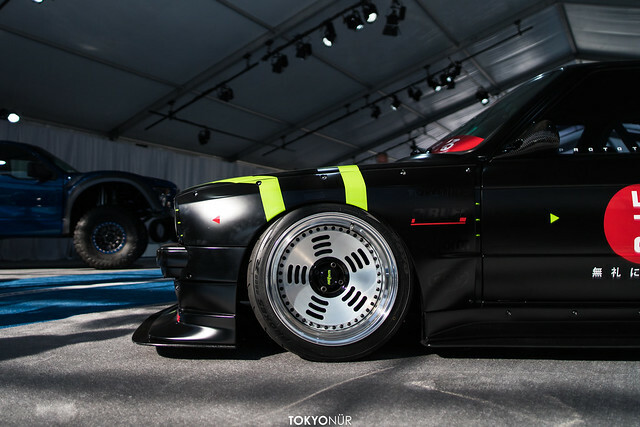 Kyza gets inspiration from old school motor sports to newest racing car, Japanese car culture, and movies and other cultures. Between “Unreality and oh wait this might be real”. This balance is very important. If one part was strong, it gets boring. A part of Kyza’s imagination, Tokyonur collaborated with him for BG. 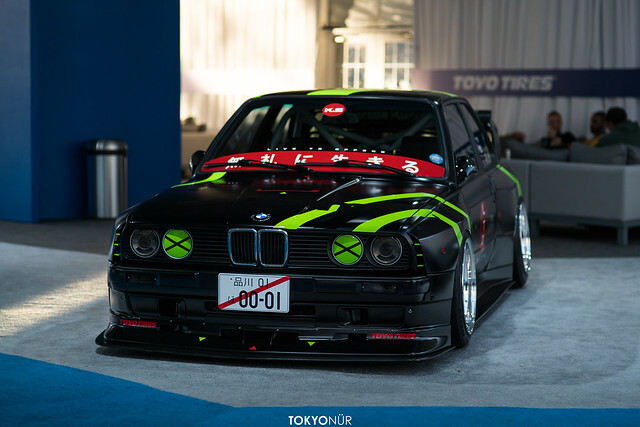 And this very time when I visited the US, Kyza’s E30 displayed at SEMA Show. 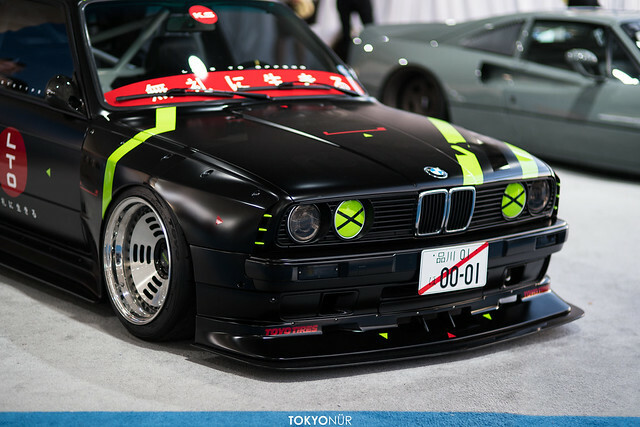 This car proved that sometimes person who are not in the industry who has another industry’s knowledge can create something interesting;.. 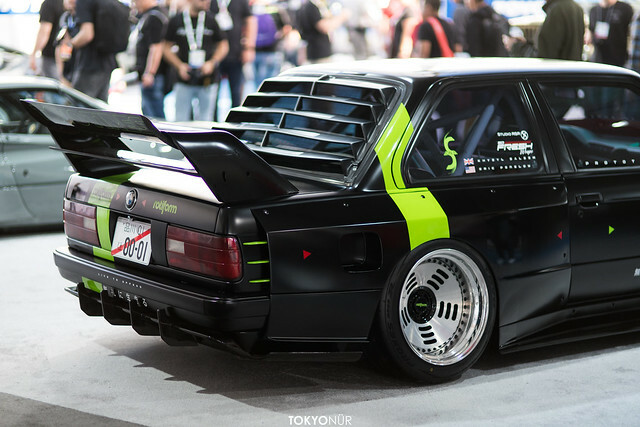 This catchy wide body seems Just another DTM and TRA-Kyoto’s mashup. However, if you look it carefully, you will see Kyza’s sprits. For example, the temporary license plate doesn’t even tried to be real. The car its self is there but it feels like it just came out form photoshop, 3DS, and Max. I hope he come to Japan someday and experience the culture in person. 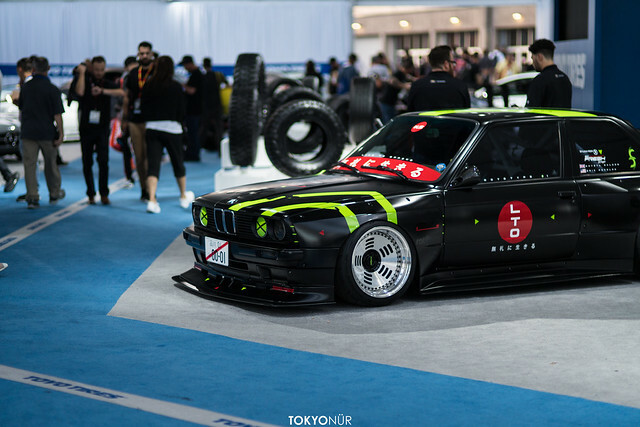 ※He won Gran Turismo GT Award Best Euro. I’m not going to post the original photo but if you were a Tokyonur heavy watcher, you would know what is this.